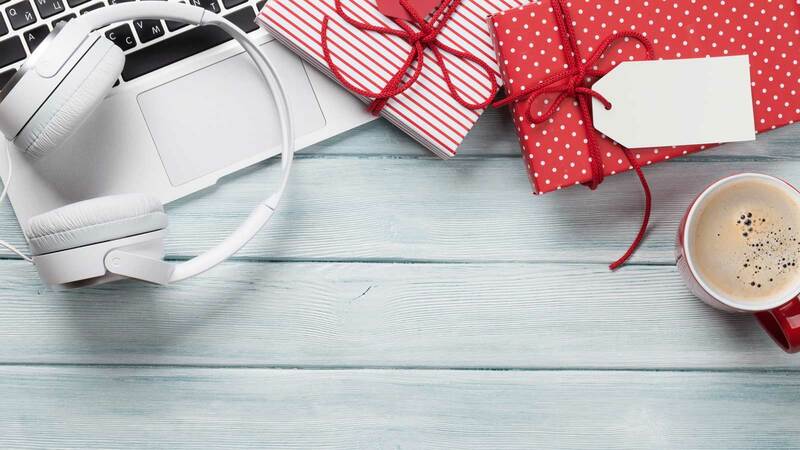 As you consider holiday gifts for all the people who make your business a success – your employees, customers and partners – answer these three questions. Do the people on your list like tech gifts (hint: most do)? Will your recipients use their gift at home, work or play? Will everyone on your list get the same gift? Number three is a no-brainer – there’s no way that everyone gets the same gift. You need options. To make sure you have the flexibility you need to find a great gift for everyone on your list, here are some brilliant (and popular) tech gifts. Some are for work, some for home and others for play. Take a look and you’re bound to find a few of the gifts you need. Few things we do at home are as risky as opening the front door after a stranger rings the bell. Thanks to Ring, a homeowner can now greet whoever rings the bell via iPhone or Android, even if they aren’t at home. Ring takes the risk out of answering the door, and it starts at less than $100. Quick question: who enjoys programming their thermostat? Answer: nobody. That’s why the Nest Learning Thermostat is so popular. It learns what temperature you like the house to be at what times and programs itself, while leaving you the option of changing temperature remotely. Simply brilliant and starts at less than $200. Ever get frustrated and tune out when teleconference audio is sub-standard? Give your partner with poor audio quality a Blue microphone and improve every call, conference call or recording they make. The entry level Blue Snowball iCE starts at less than $50. Your gift could make a huge impact without costing you a fortune. For the on-the-go executive who doesn’t like iPads, the Samsung Galaxy Note9 is a fantastic gift. It features Samsung’s largest phone screen and the S-Pen that can capture shots, scroll and play music remotely. A factory unlocked version is around $1,000. These headphones are for the person who appreciates beautifully designed products and loves the sound of HD audio with enhanced bass. With wireless and remote capabilities, the Beats by Dre Solo2 Luxe Edition Wireless Headphones combine looks, sound and ease of use for under $150. Know someone who loves to play Fortnite on their smartphone, iPad or laptop? An Xbox or PS4 gaming system will boost game performance (and make their experience even more enjoyable) while also providing streaming capability. A system with full HD video will run around $300, while one with 4K UHD will start at just under $400. These tech gifts for home, work and play are perfect for the season and should cover most of the people on your list. With New Year’s rapidly approaching, the holiday season is also the right time to give your organization a gift. What do you give a company? If productivity upgrades come to mind, consider an improved IT infrastructure that boosts the performance of everyone on your team. Contact us today and we’ll help you recognize which parts of your infrastructure present the best opportunities to improve productivity and drive growth.